Did you know that there are five different types of wrinkles? It’s true—and since not all wrinkles are the same, neither is their treatment. 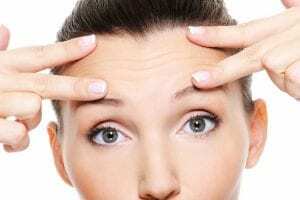 Just like these signs of aging are caused by different sources, they require different techniques for minimizing their appearance. Read on to learn how to tackle the five different types of wrinkles. These babies are causes by repetitive expressions, such as smiling, frowning and laughing, which is why they’re often called “laugh lines.” They typically start out as fine lines that disappear when you stop making the expression, but over time, grow more deeply etched and become permanent. To combat: Don’t make the leap into Botox territory to make these go away. Instead, do facial exercises twice a day. In just two weeks, you’ll start to see smoother skin. Avoid overexposure to the sun and smoking—both these habits expedite the transformation from dynamic to static wrinkles. 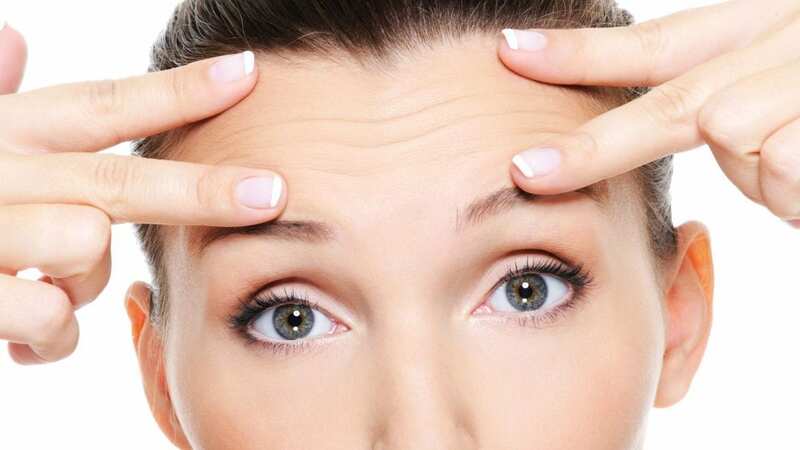 These deep parallel lines appear on the forehead and between the brows when furrowed, also known as the “Elevens.” They become more apparent with age since the collagen and elastin in our skin diminishes over time. They also worsen with fat loss, dehydrated skin and photodamage. To combat: Atrophic wrinkles can definitely be improved with a consistent Facercise practice! Limit sun exposure, wear sunscreen daily and reduce stress with a healthy habit like meditation. These deep lines form on the face, neck and décolletage as a result of sleeping on your stomach or side. Your face and body squishes against the mattress or pillow and puts pressure on the skin. At first, compression wrinkles go away soon after you wake up. Over time, they stop disappearing and stay for the long haul. To combat: Sleep on your back. Use silk pillowcases or even a special pillow that alleviates pressure on the skin. Do facial exercises to counteract that compression! These tiny wrinkles on the upper lips, cheek and neck are a direct result of too much sun exposure, free radical damage and other factors that cause oxidative stress. To combat: Avoid sun exposure and wear sunscreen every day, rain or shine. Facial exercises are an excellent remedy as they boost circulation, which helps promote collagen production. Eat an antioxidant-rich diet to help combat the free radical scavengers that deplete collagen and elastin supplies. These folds are a combination of saggy skin and wrinkles that can significantly age our appearance. They are caused by the breakdown of collagen and elastin from aging and UV damage. To combat: Use a retinol product to boost collagen and exfoliate dead skin cells. Facercise consistently and eat an antioxidant-rich diet. Radio-frequency and ultrasound treatments can also help tighten and firm the skin. 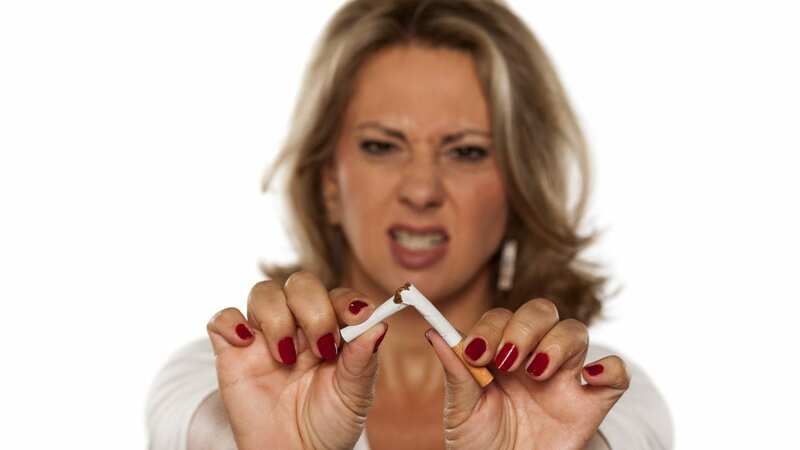 It’s always shocking when we find out that one of our clients who does facial exercises religiously is a smoker. There is no better way to expedite the signs of aging than with tobacco smoke. From smoker’s lines around the mouth to a dull complexion, the effects of smoking are severely aging. Read on for motivation to quit this nasty, aging habit. Fresh glowing skin is dependent on the delivery of oxygen-rich blood to its cells. Tobacco smoke is loaded with nicotine and carbon monoxide which slows circulation. This diminishes the supply of oxygen to skin cells and result in a dull, grey tone. Smoking also increases the appearance of blood vessels while depleting important nutrients, like vitamin C, an antioxidant that brightens skin. Research shows that smokers experience diminished sleep quality while tobacco unleashes oxidative stress on the skin. This combination causes dark circles, puffy eyes and unsightly bags. Yellow teeth is a dead giveaway of a smoking habit. Nicotine stains teeth an unsightly yellow or brown, raises the risk of gum disease and can lead to tooth loss. Smoking’s repetitive movements cause vertical lip lines, aka “Smoker’s Lines,” that are very difficult to get rid of. Smoking slows circulation and constricts the blood vessels which cuts off skin’s oxygen supply. This dehydrates skin and breaks down collagen, leading to a deepening of fine lines and wrinkles and diminished elasticity. Smoking cigarettes causes infections and skin disorders, slows down wound healing and causes premature aging. Spend the money you use to buy cigarettes to get take better care of your skin. Quit smoking now! Keep yourself busy by doing Facercise every day instead of reaching for that pack of cigarettes. Click here to learn about our proprietary system of facial exercises that takes 10 years off your looks. You don’t have to get Botox and other fillers if you want to maintain fresh, youthful good looks. In fact, a good skin care protocol coupled with daily facial exercises will make you look younger and more natural than dermal fillers. It’s also important to avoid bad habits that break down collagen, slow circulation and cause the formation of wrinkles. 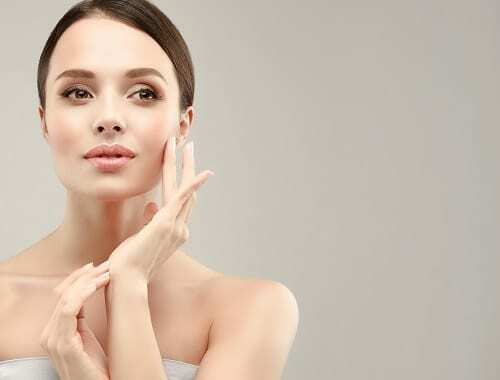 Here are five habits to eliminate immediately if you want to combat the signs of aging and maintain your looks. If you want to look older, keep smoking! The repetition of the movements involved with smoking causes deep lines around the lip area and all over the face. It slows the blood supply to our skin cells, depletes vitamin A and causes collagen to break down. The result is wrinkles, fine lines and dull, grey skin. The sun’s powerful ultraviolet rays cause significant damage in the form of sun spots, hyperpigmentation, deep lines and wrinkles. It also breaks down collagen, which is responsible for the flexibility and firmness of our skin. Stay out of the sun and protect your skin by wearing, hats, protective clothing and sunblock with a high SPF. Squinting causes Crow’s feet, undereye bags and those lovely brow furrows nicknamed the “elevens.” Wear sunglasses to protect the area and rock a hat whenever you step into the sun. If you need readers, wear them! Sleeping on your stomach smashes the skin on your face, neck and decollete into the pillow and sheets. The pressure causes creases that can become permanent over time. Sleep on your back to prevent this from happening. Too much alcohol dehydrates your skin, causes blood vessels to burst and leads to sleep deprivation. These effects accelerate the signs of aging and diminish overall beauty. Click through for more information about Facercise, the premier system of facial exercises.